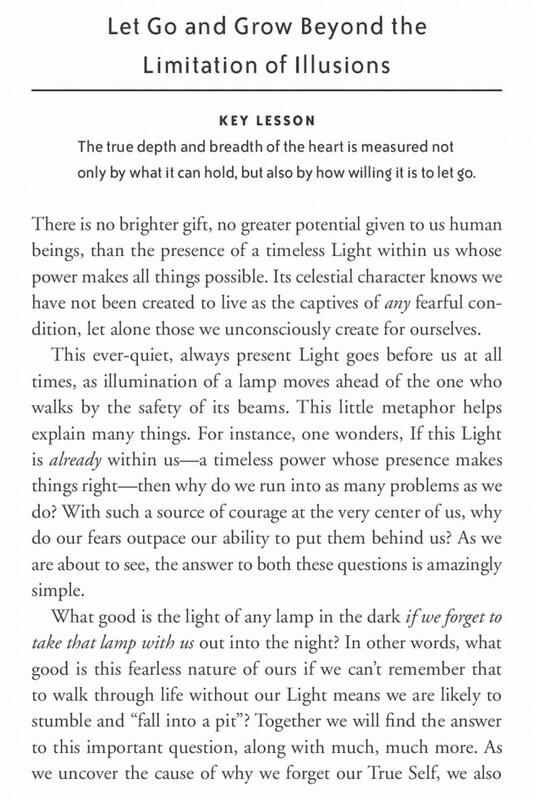 YOU have an unlimited storehouse of untapped energy lying dormant in your own heart and mind. It is the secret source of all that is wise, loving, timeless, and truly you. To touch this vibrant force of Life is to be lifted above any limitation... given the solution to any painful problem... and gifted with a whole new way to look at a life whose beauty never fails to amaze you. The way to contact this core power is through a whole new way to use your attention. Used consciously, attention acts just like a bridge -- it connects you to what your heart desires. The secret to being fearless and free is to use your attention to connect yourself to the living ground of the present moment. 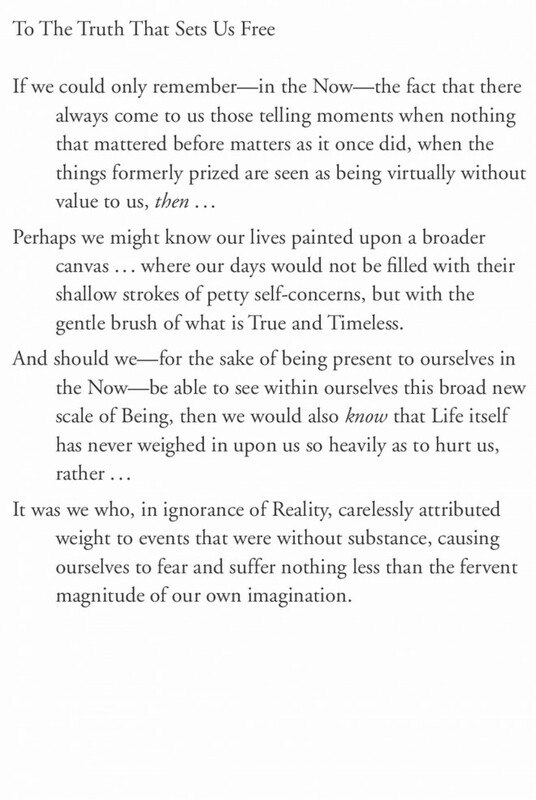 The true nature of the now is an all-powerful presence that is, at once, all the energy in the Universe. Where better to find what is greater than any fear! 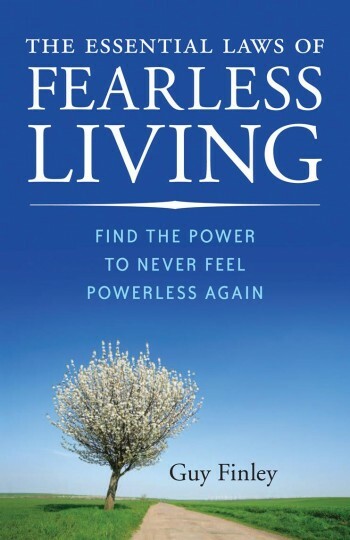 The one great secret to being wise, fearless, and free. Try it now: For the next 10 or 20 seconds, consciously let go of the tension in your shoulders. Take a nice deep breath. Deliberately disconnect yourself from your own thoughts, watch them fall from your mind like autumn leaves. Now, open yourself to everything around you and feel yourself being renewed through your own awareness of Life's infinite possibilities! 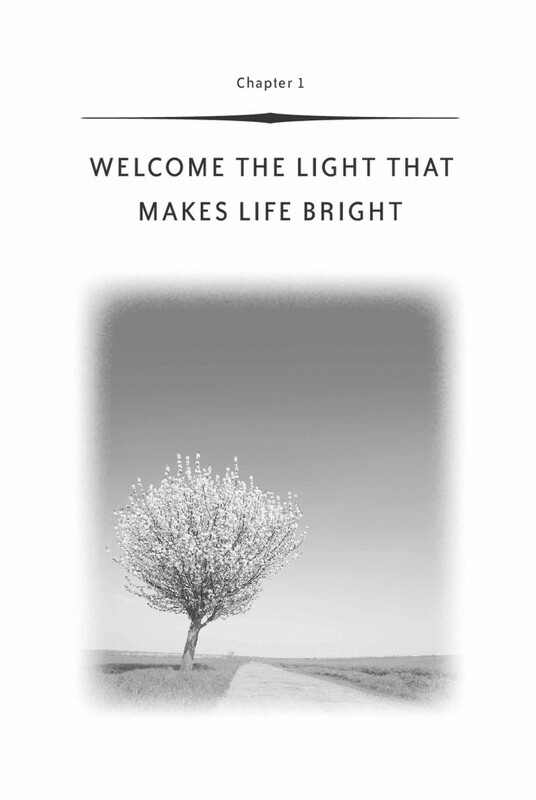 Use this secret technique every day as often as you can remember to and watch your friends and loved ones marvel as you attract the brighter, happier life you have always known was possible. Discover them all in Guy Finley's book, The Essential Laws of Fearless Living -- a step-by-step guide to realizing your ultimate potential as a human being! 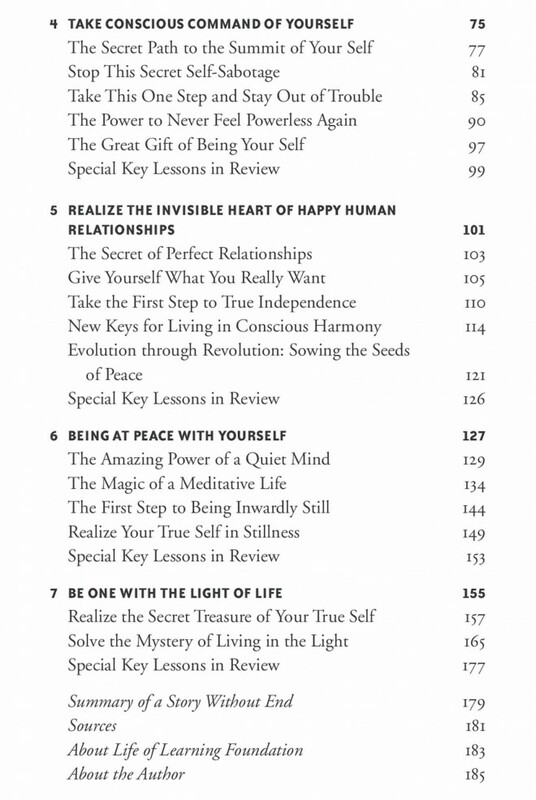 Each of its 40 concise sections reveals a fundamental secret of our living Universe, and contains a simple practical technique to help you harness its power to make lasting changes in your life. 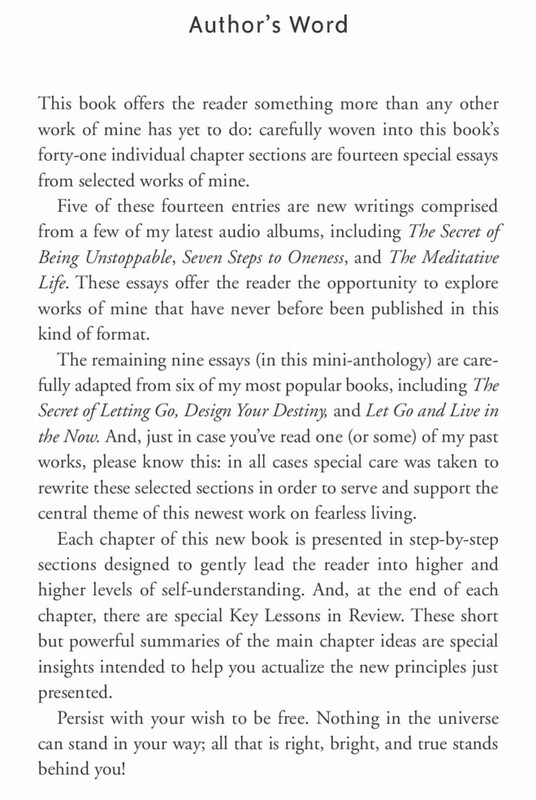 As you become immersed in the book, and your understanding begins to deepen and flower, a smile will fill your heart as loneliness, stress, anger, and problems are gradually replaced with contentment, ease, compassion, and a freedom that never fades away! 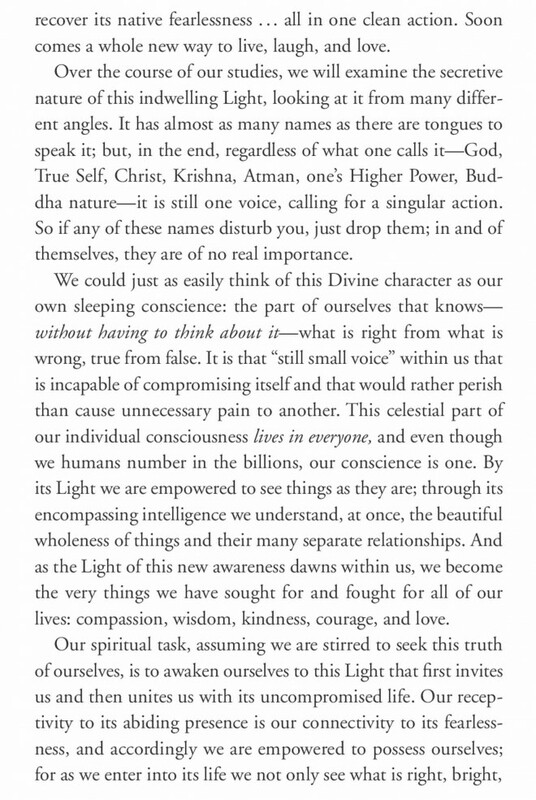 Discover the natural authority that lies deep within you -- a living presence that knows exactly how to handle any difficult situation and use every experience to reach increasing degrees of self-command. 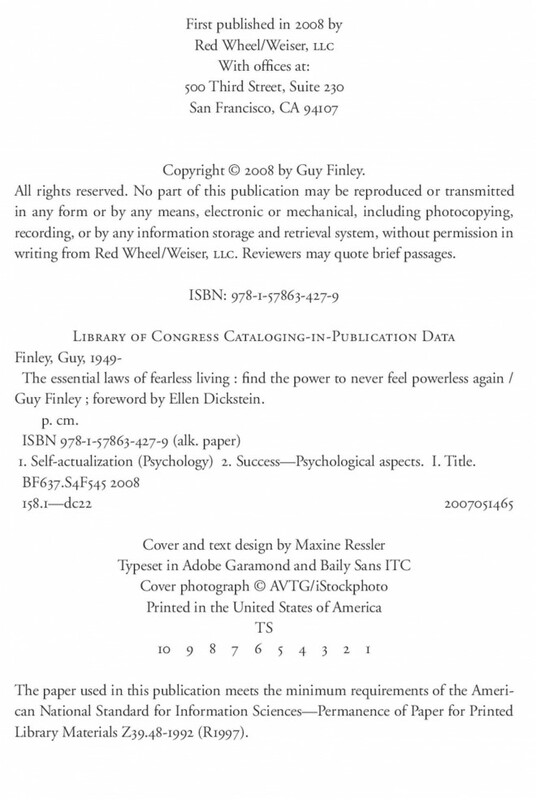 In [The Essential Laws of] Fearless Living, Guy Finley brilliantly describes the most important key to the breakthrough life. Wise, insightful, full of wisdom. 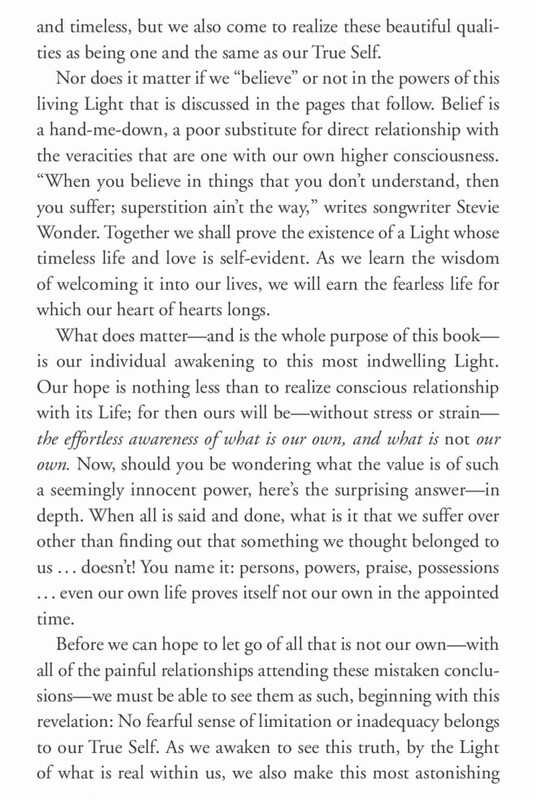 This book can soothe the soul and allow healing into a hurting heart. Powerful. 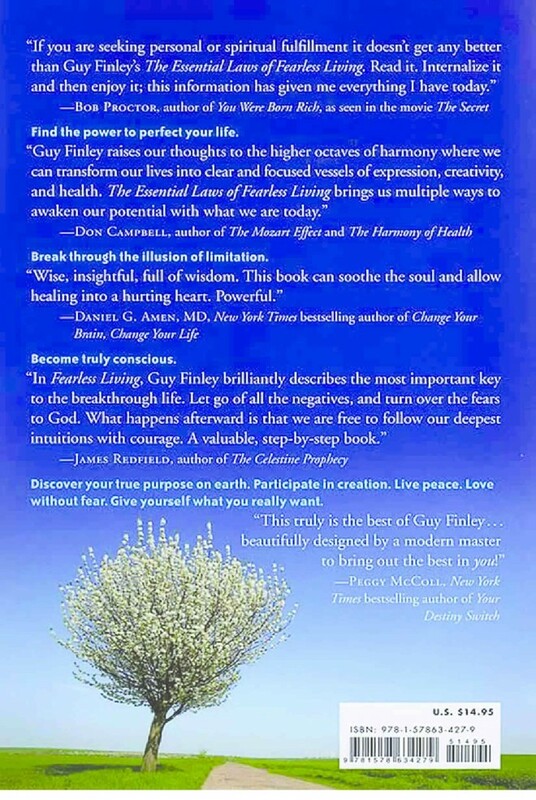 This truly is the best of Guy Finley... beautifully designed by a modern master to bring out the best in you! 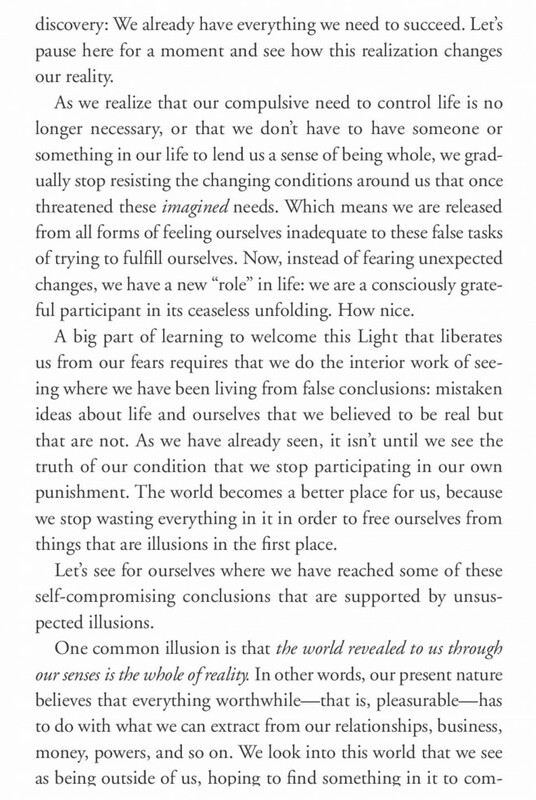 This book is a treasure chest of perceptual insights. Open it up and allow its transformative jewels to adorn your awareness. 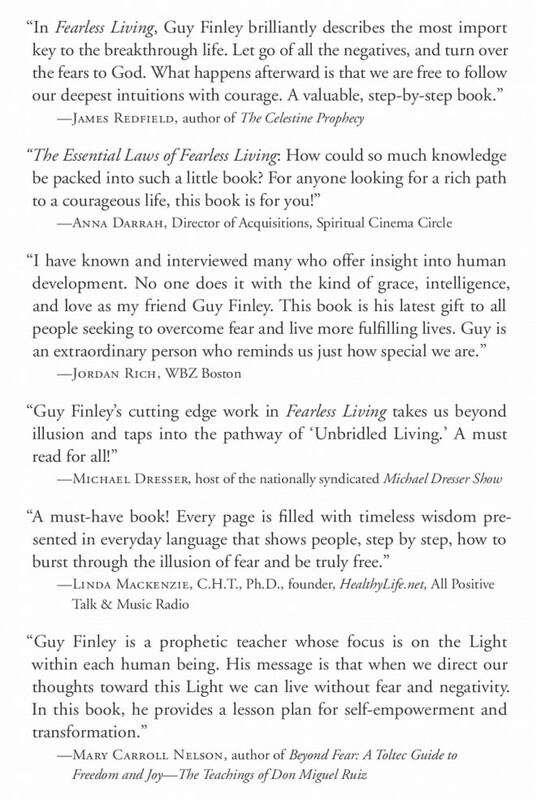 Guy Finley is terrific, and you will LOVE the book. It will change your life. It will make you HAPPY! 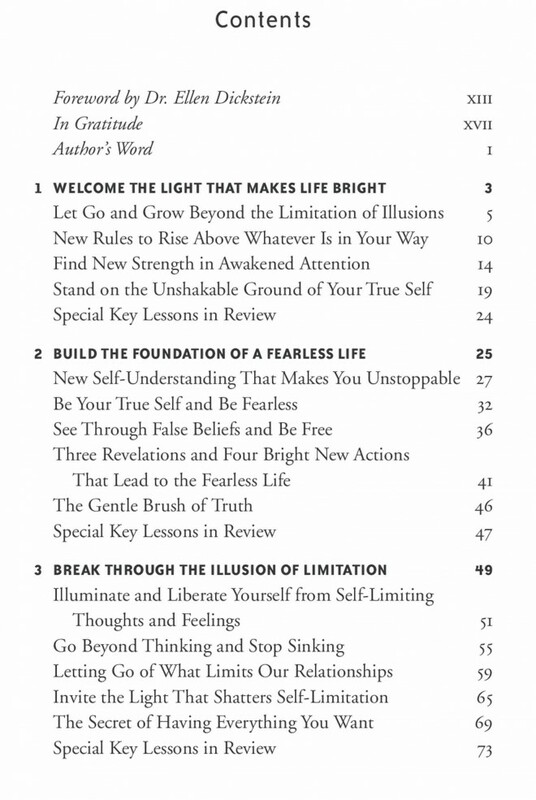 I just read The Essential Laws of Fearless Living and it was miraculous. I have spent my life searching for the path to myself. I found my way home. 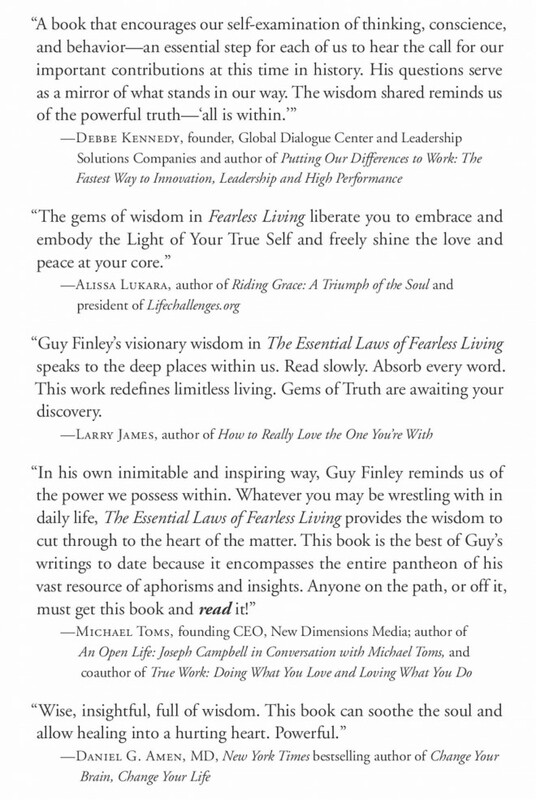 It doesn't get any better than Guy Finley's [The Essential Laws of] Fearless Living. This information has given me everything I have today.